THE ULTIMATE PERSONALIZED GIFT! Create a customized Double Custom Bobble Head for a wedding cake topper or other special events. 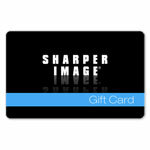 After ordering, you’ll receive a voucher in the mail that you can use yourself or give as a gift. Then, upload digital photos and choose a body style from over 1000 options, including sports, occupations, children, comedy and more! 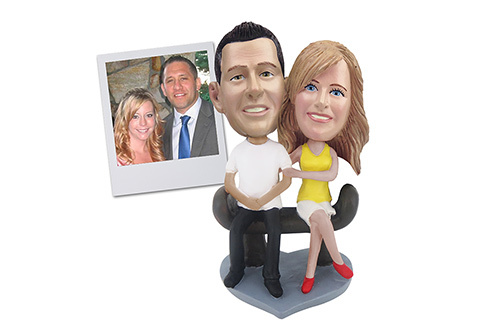 Our expert sculptors will re-create your image true to likeness. Only approve your Bobblehead when you are 100% satisfied. Get started now! 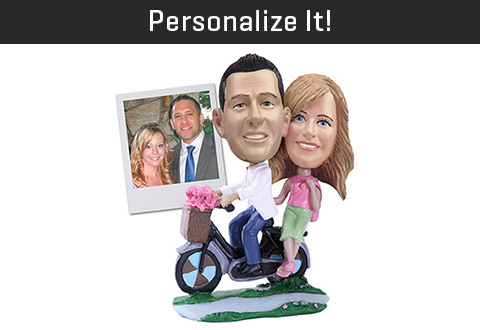 Create the ultimate personalized gift! 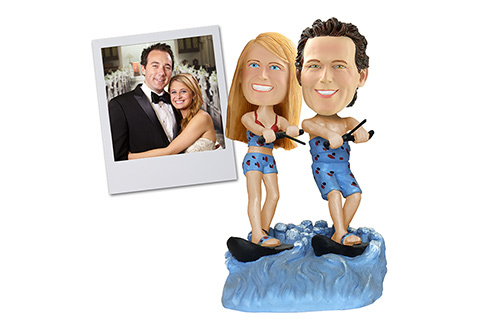 The Double Custom Bobble Head features two hand-sculpted heads that are based on your uploaded digital photos! 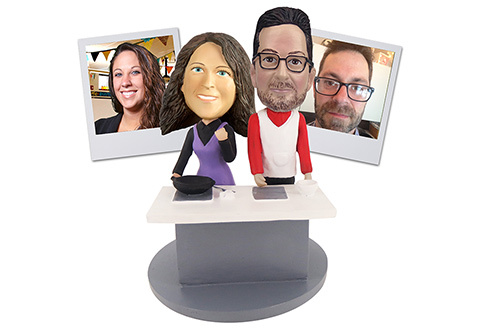 It’s easy to make your own Bobble Head! 2. You will receive a voucher in the mail that you can use yourself or give as a gift. 6. 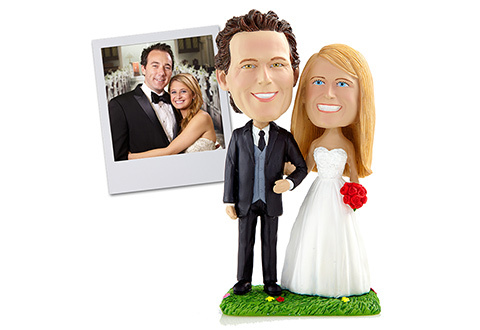 Once you have approved the proof, your Bobble Head will be custom made and shipped to the address you entered. This entire process may take up to 8 weeks.